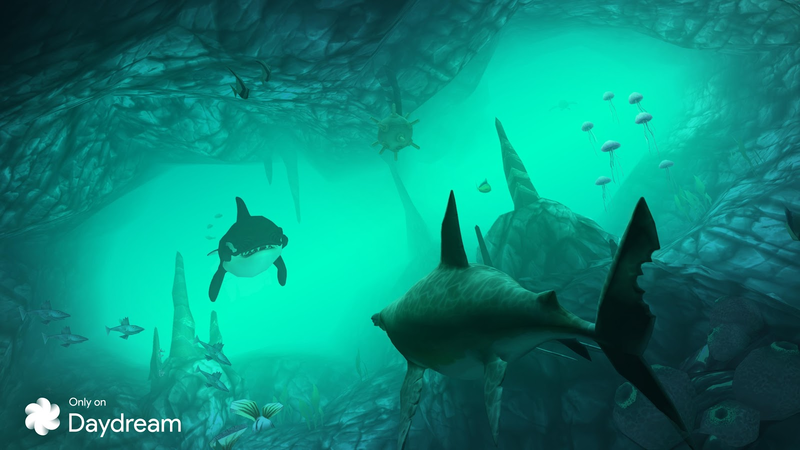 I don't have a Daydream-compatible phone and headset to give it a try, but the trailer and screenshots do promise a very nicely designed environment with caves, clear and dark waters, shipwrecks, plenty of fish, and more. 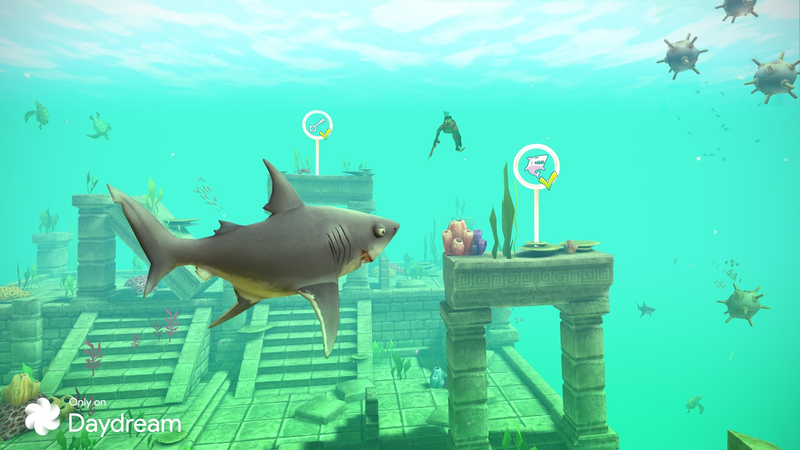 The description also mentions different shark species ranging from the bull shark to the Great White. 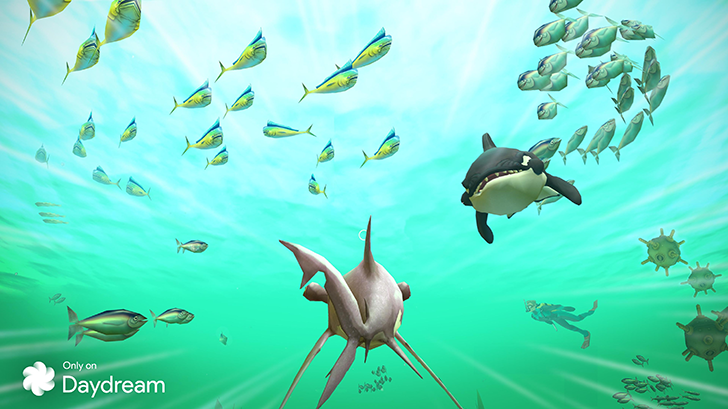 Hungry Shark VR costs $4.99 on the Play Store and requires a Daydream headset. 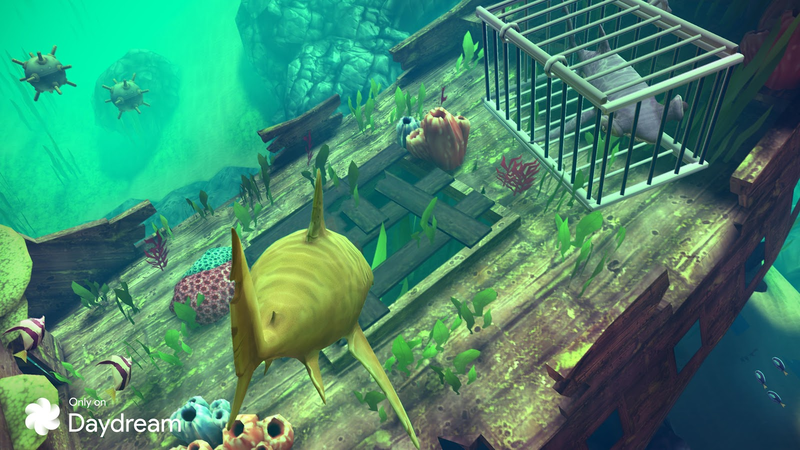 It's following up on Ubisoft's other VR release last month, Virtual Rabbids: The Big Plan, and seems to be a part of several new Daydream games being unleashed in the past few weeks, including Along Together and Lola and the Giant. It's exciting to see more and more titles come to the platform — maybe that will make us less skeptic about its benefits in the long run.